It has the greatest range of motion of any joint in the body with complete global movement allowing you to position the hand anywhere in space. To allow so much movement the joints need to be 'free' to move, therefore the shoulder should be 'unstable' compared to other joints of the body; However a series of complex ligaments and muscle keep it in joint. Because the shoulder is such a unique joint it is also prone to particular problems. 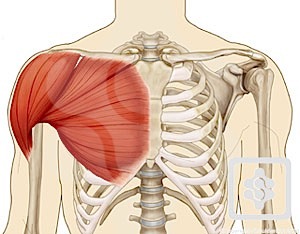 In fact it would be more correct to call it the SHOULDER COMPLEX. The nerves supply all the above stuctures and make them work.